Don’t let nails and hammers stop you from showing off your favorite pictures! 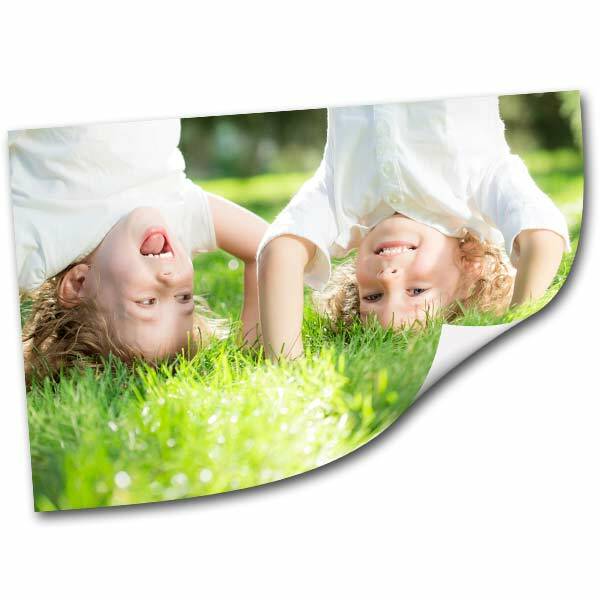 Prevent damage to walls with our peel and stick photo prints. You can choose a photo and upload it to Print Shop before creating your adhesive print. Then just center it on your layout before placing your order. If you’re looking to enhance your home with photos, adhesive prints are perfect for your basement rec room or kids’ bedroom. Apply them to your wall, door, or ceiling to add a splash of color to your home. Maybe your little one is an aspiring artist and enjoys painting or drawing. You can scan their artwork and blow it up in a peel and stick enlargement to showcase it for all to see. With an array of custom options and your collection of photos at hand, you can create unique wall art that brings your memories to life! Maybe your looking for cheap photo enlargements instead to frame on your wall. We offer several sizes including 24×36 poster prints which look great in a sleek, modern frame.